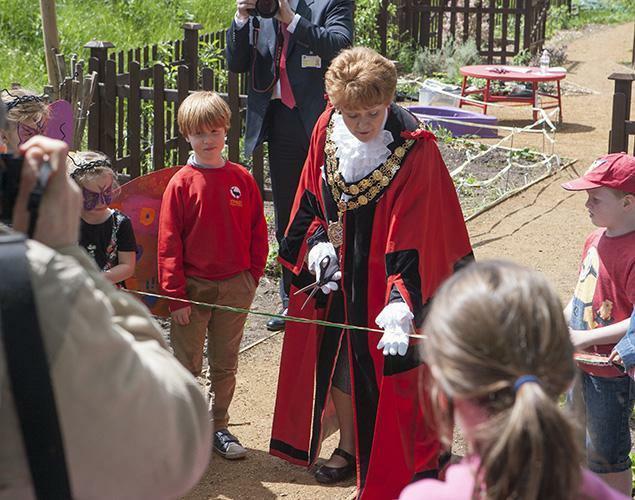 Councillor Jane Boulton, Mayor of Richmond Borough, was guest of honour at Stanley's annual May Fair on Sunday 17 May 2015, and officially opened Stanley's Living Classroom. The Living Classroom is a beautifully crafted wildlife garden which has been created with funds raised by the Friends of Stanley Primary PTA. The garden includes a lovely pond with accessible pathways, and future plans include an orchard. The Living Classroom is maintained by a small group of parents and there are weekly spruce-up sessions on term-time Thursdays (14.00-15.00) for anyone who is able to help. For further information, please see our Living Classroom webpage at http://www.stanley.richmond.sch.uk/living-classroom/.